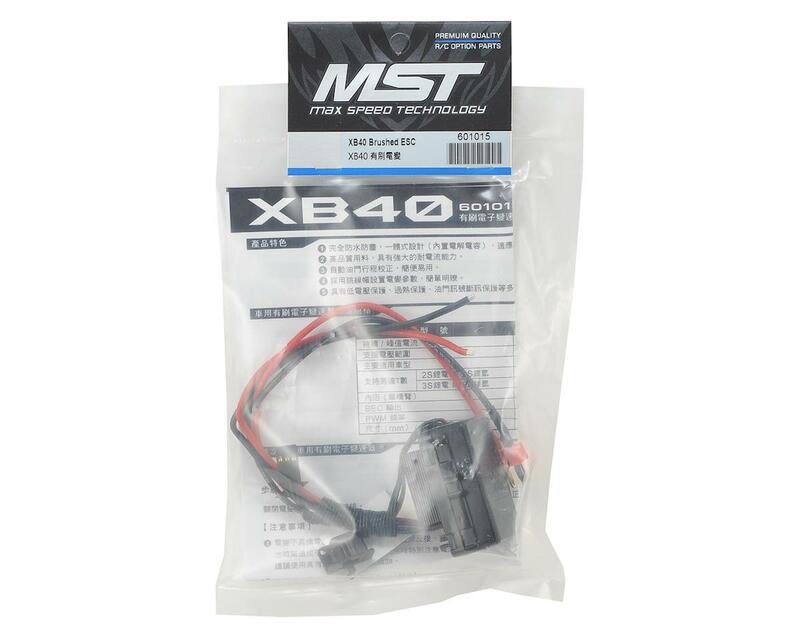 The MST XB40 Brushed ESC is a great waterproof brushed motor ESC that can be used in a variety of applications, including 1/10 on road, off road and 1.9 crawlers. Water-resistant and dust-proof for all weather races. Small size with built-in capacitor module. 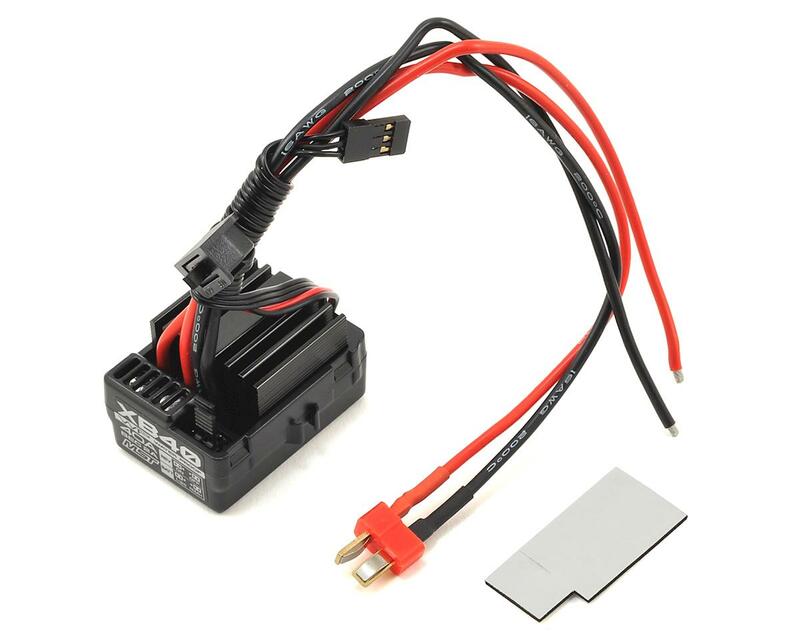 Multiple protections : Low voltage cut-off protection for Lipo or NiMH battery / Over-heat protection / Throttle signal loss protection. Easily programmed with the jumpers.